Audi has announced that they will be partnering with Amazon to integrate Alexa into their new fully electronic E-tron SUV. This follows other announcements by car manufacturers, including BMW, Ford, and Toyota, to offer voice controls through Alexa skills and the integration of Alexa into car infotainment centers. The E-tron will offer “many” of the same features the North American Amazon Echo currently has. Drivers will be able to use Alexa to playback music, access weather information, add items to a to-do list, order food for delivery, and even control Alexa-enabled devices at home. 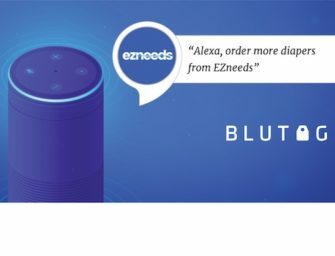 In the promotional video, the driver does not need to use a smartphone to use Alexa in the E-tron, but did push a button before giving commands to Alexa. Whether or not this will be required to use Alexa is unclear but it is likely. Automobiles typically avoid always listening for wake words and instead opt for button activation, usually from the steering wheel. This deeper integration of Alexa into Audi’s E-tron comes about a month after the release of the Alexa Auto SDK. It is further evidence that Amazon is making strides in spreading voice integration beyond the home. I want Audi to be the number-one electric vehicle seller in America over the long term. Incorporating Alexa and Amazon home services are ways to stay competitive. Audi’s E-tron will be available mid-2019, and will start at around $75,795 before a $7,500 tax credit.